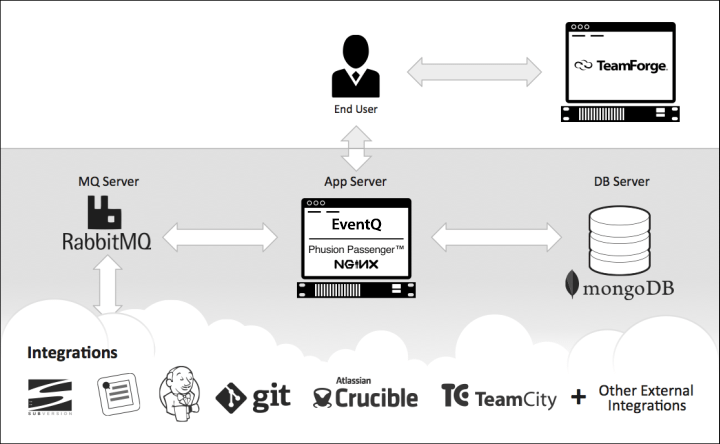 EventQ application server: EventQ is a Ruby on Rails application that runs on the Phusion Passenger application server with Nginx as a web server. The application server also hosts a number of daemons that read messages from RabbitMQ. MongoDB: EventQ persists end user-facing data to MongoDB, a NoSQL variety document-store database. RabbitMQ: EventQ relies on a message queue architecture to integrate with external sources. RabbitMQ is used to collect activity data from sources like work item, SCM, build, and code review systems. TeamForge EventQ is designed for host separation, where each component resides on different operation systems. Any component may be run on virtualized hardware. In the absence of separate hardware or virtualization, EventQ components may be collocated. Resource requirements for components are documented in the Install EventQ section. Once a message is published by an external source, it is consumed by a daemon service running on the EventQ application server. The message is parsed and the data is persisted. 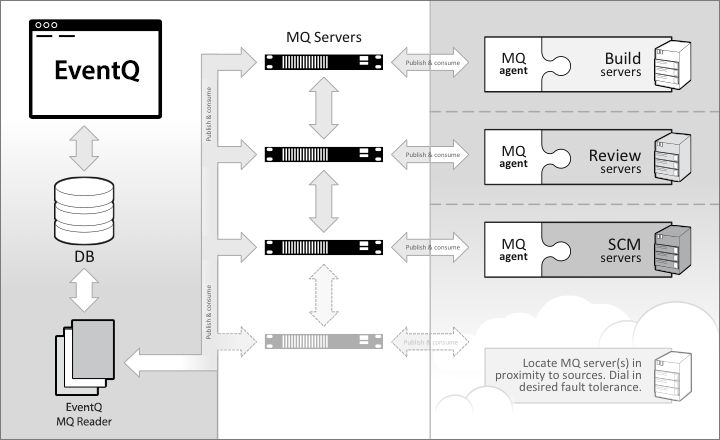 MQ adapters are configured with "association keys": unique identifiers that enable EventQ to file incoming data into the appropriate source. EventQ ships with a handful of packaged adapters to common work item, SCM, build/CI, and review systems. But what if you are using different tools in your process? 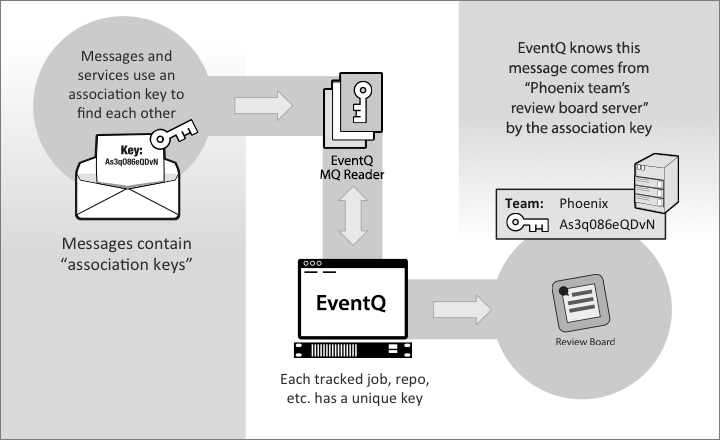 You can integrate your tools by building adapters that work by publishing MQ messages that are consumed by EventQ. See the Extensibility documentation for more on writing TeamForge EventQ adapters: Extending TeamForge EventQ.